This website is a living document of our worldwide research into the lives of elderly. 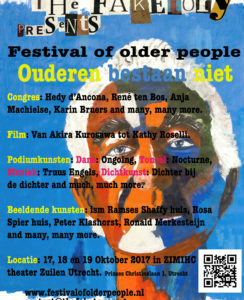 In October 2017 there will be an International Festival on Elderly in The Netherlands, accompanied by the publication of our book and documentary. Currently we are doing research in Cambodia. Festival of Older People in October! To enter our research library on elderly you can become a member of our research community. Please send us an e-mail with a request to join if you are not a member yet. Festival of Older People: October 2017!